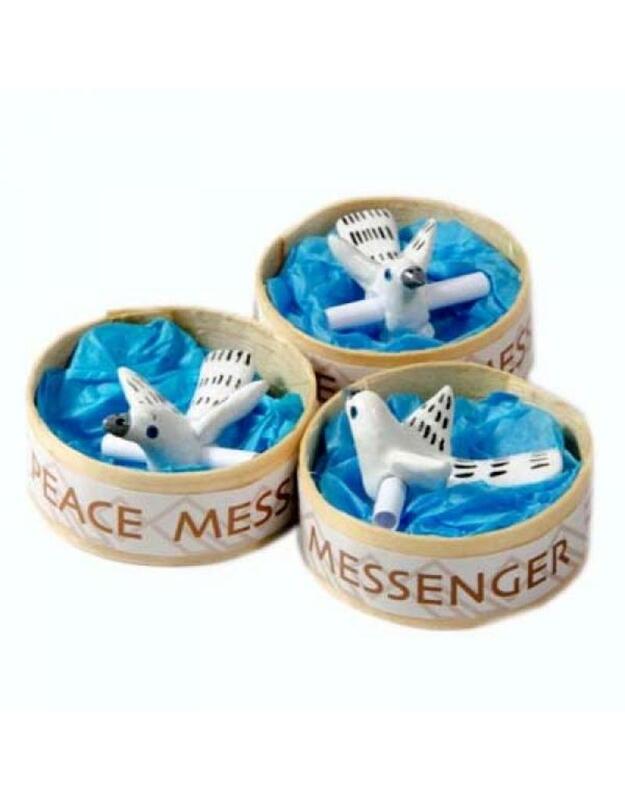 Peace messenger derived from a Fair Trade project in Guatamala by Barbosa Fair Trade. 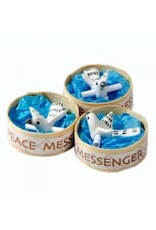 The dove is hand made of ceramics and has a rolled paper on which you can write a message. The dimensions of the box are: 5 cm x 5 cm x 2.5 cm.